The best part of being a food reviewer is the fact not only you get invites to the best food festivals in town but you also get to spend some quality time with the masters from the kitchen – The chefs of 5 star hotels while they share amazing journeys of picking a dish, experiments that results in amazing dishes which we only relish but don’t realize how much efforts goes in making that perfect bite. 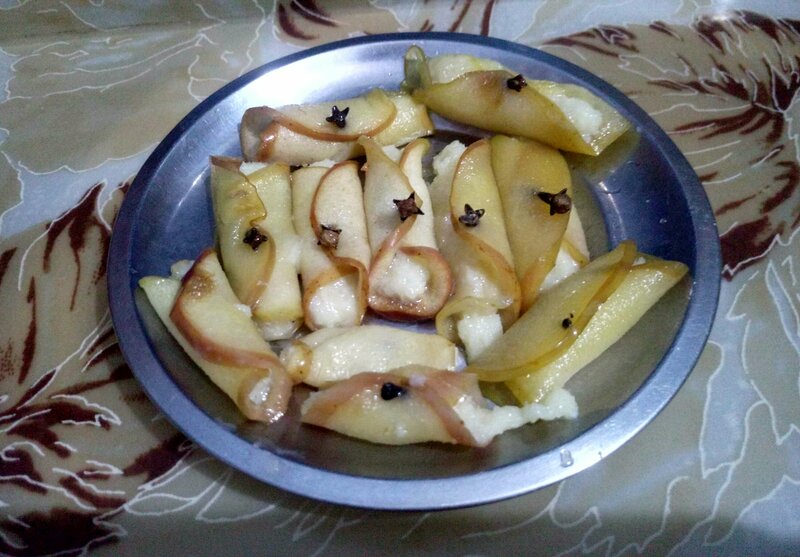 The name of the dessert is Kaab e mashooq and has Apple as one of the key ingredient. While hearing to his narration of the recipe I was sure I ll try this for sure. 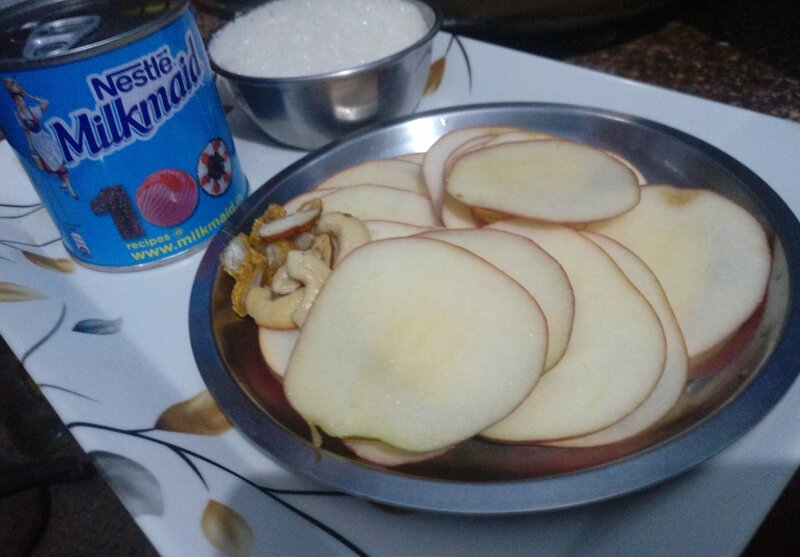 Slice the apples towards the length from the sides to make a thin circular slices as shown in the picture. Make Sugar syrup by boiling sugar with equal amount of water. And let it come to a consistency. Now Add Slices of Apple and let it cool down. 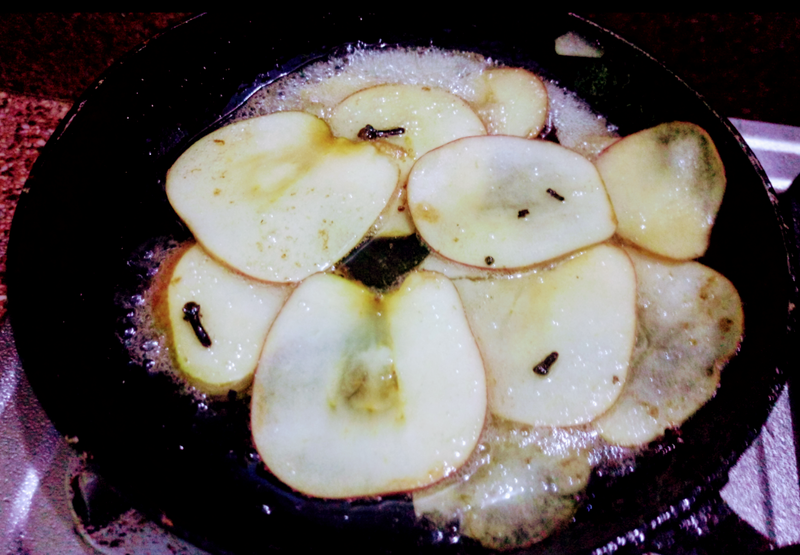 Take out the Apple slice that is soaked in Sugar syrup and put the filling and roll. You may insert a clove to hold it as shown in picture and your Dish is ready. Try it at home, and dine like Maharajas with recipe from the Kitchen of Maharajas.